Skating is one of the most fun and healthy activities you can do as a family or with friends! So come to the rink and have a blast! 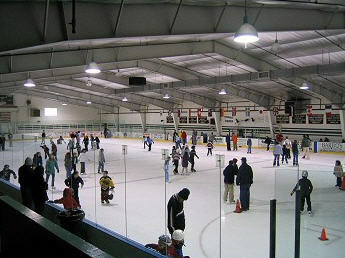 Enjoy our wonderful facilities and skate all year long. Please be sure to check back for updated information on all public skate sessions due to changes related to special events. Please check our calendar for current dates and times for Public Skate. please refer to the Google Calendar on our Schedule page. We reserve the right to cancel any ice session that does not have sufficient interest. Please note that we require $20.00 minimum for all credit card charges. We apologize for any inconvenience.